From Wikipedia, the free encyclopedia. Alejandro Jodorowsky Prullansky, known as Alejandro Jodorowsky (born 17 February 1929) is a Chilean filmmaker, playwright, composer and writer with a large cult following. Best known for his avant-garde films, he has been "venerated by cult cinema enthusiasts" for his work which "is filled with violently surreal images and a hybrid blend of mysticism and religious provocation." His most notable works include El Topo (1970), The Holy Mountain (1973) and Santa Sangre (1989), all of which have had limited release but achieved popularity amongst various countercultural groups. He has cited the filmmaker Federico Fellini as his primary cinematic influence, and has been described as an influence on such figures as Marilyn Manson and David Lynch. After a failed attempt to return to filmmaking with a film entitled King Shot starring Marilyn Manson and produced by David Lynch, Alejandro is set to return to cinema with the sequel to El Topo entitled Abel Cain sometime in late 2011 or 2012. Jodorowsky is also a playwright and play director, having produced over one hundred plays, primarily in Mexico where he lived for much of his life. Alongside this he is also a writer, particularly of comic books - his The Incal even has been noted as having a claim to be "the best comic book" ever written - as well as books on his own theories about spirituality. 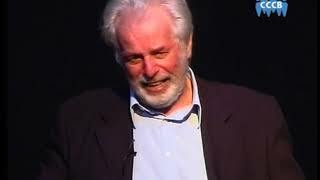 Jodorowsky has been involved in the occult and various spiritual and religious groups, including Zen Buddhism and forms of Mexican shamanism, and has formulated his own spiritual system, which he has called "psychomagic" and "psychoshamanism". Description above from the Wikipedia article Alejandro Jodorowsky, licensed under CC-BY-SA, full list of contributors on Wikipedia. How do you find their screen writing style? Description: From Wikipedia, the free encyclopedia. Alejandro Jodorowsky Prullansky, known as Alejandro Jodorowsky (born 17 February 1929) is a Chilean filmmaker, playwright, composer and writer with a large cult following. Best known for his avant-garde films, he has been "venerated by cult cinema enthusiasts" for his work which "is filled with violently surreal images and a hybrid blend of mysticism and religious provocation." His most notable works include El Topo (1970), The Holy Mountain (1973) and Santa Sangre (1989), all of which have had limited release but achieved popularity amongst various countercultural groups. He has cited the filmmaker Federico Fellini as his primary cinematic influence, and has been described as an influence on such figures as Marilyn Manson and David Lynch. After a failed attempt to return to filmmaking with a film entitled King Shot starring Marilyn Manson and produced by David Lynch, Alejandro is set to return to cinema with the sequel to El Topo entitled Abel Cain sometime in late 2011 or 2012. 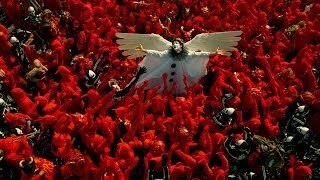 Jodorowsky is also a playwright and play director, having produced over one hundred plays, primarily in Mexico where he lived for much of his life. Alongside this he is also a writer, particularly of comic books - his The Incal even has been noted as having a claim to be "the best comic book" ever written - as well as books on his own theories about spirituality. 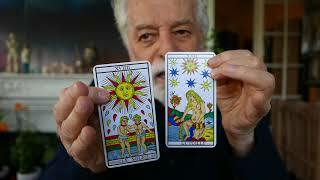 Jodorowsky has been involved in the occult and various spiritual and religious groups, including Zen Buddhism and forms of Mexican shamanism, and has formulated his own spiritual system, which he has called "psychomagic" and "psychoshamanism". Description above from the Wikipedia article Alejandro Jodorowsky, licensed under CC-BY-SA, full list of contributors on Wikipedia. Birds born in a cage think flying is an illness. http://mpakbaz.tumblr.com/post/183888021605/birds-born-in-a-cage-think-flying-is-an-illness Birds born in a cage think flying is an illness.